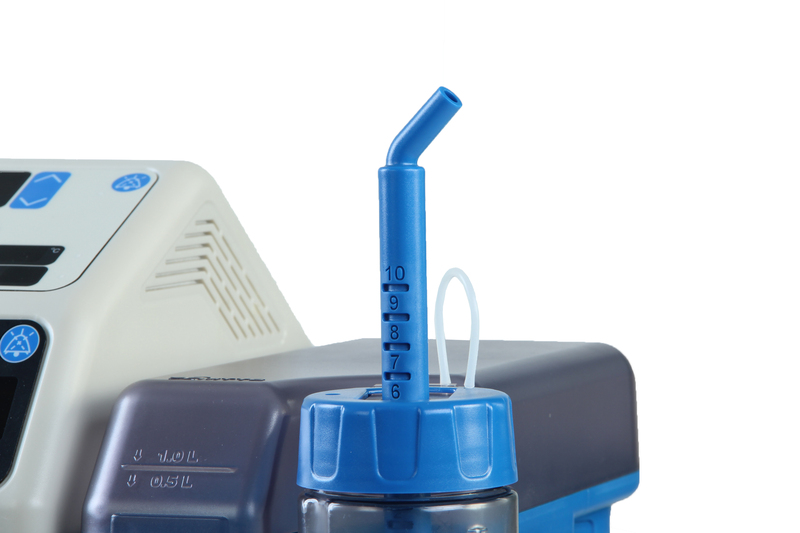 A next generation bubble CPAP machine that combine the latest in respiratory care and patient monitoring technology with exceptional value. Dolphin CPAP system is designed to protect compromised airways, enhancing patient comfort and optimizing infant outcomes. Its continuous gentle pressure of air decreases the baby’s work of breathing by keeping the alveoli of the lungs open, enables efficient capillary exchange of oxygen and carbon dioxide to take place, helps establish and maintain functional residual capacity, prevents collapse and upper airway obstruction, and reduces apnoea, bradycardia and cyanotic episodes. Dolphin CPAP sets a new standard for neonatal respiratory care, providing a noninvasive, clinically effective and safe therapy to treat newborns and infants with respiratory distress syndrome and other common respiratory pathologies. 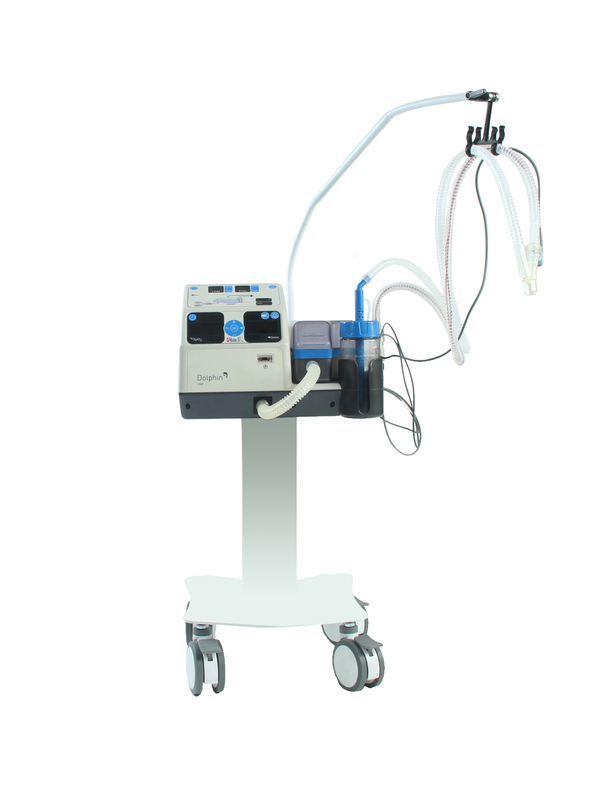 It accurately mixes air with oxygen, adds humidity to the gas mixture, and then delivers it to the patient at precisely-controlled flow rate. Designed with comfort in mind, Dolphin CPAP technology is a complete all-in-one CPAP treatment and monitoring device. Its integrated design includes gas mixing, humidification, PEEP chamber, air compressor and pulse-oximeter in one compact unit. Dolphin CPAP delivers high-quality pressure support to even the smallest and most fragile infants. It is suitable even for low birth weight infants and can be administered immediately after birth, ensuring that neonatal energy is reserved for growth and development. 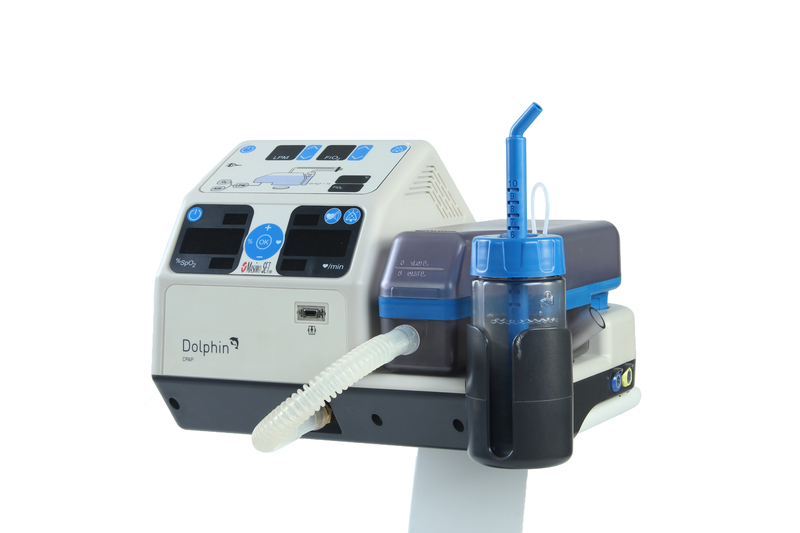 The Dolphin bubble CPAP features electronic mixing for easy, independent adjustment of flow rate and FiO2. 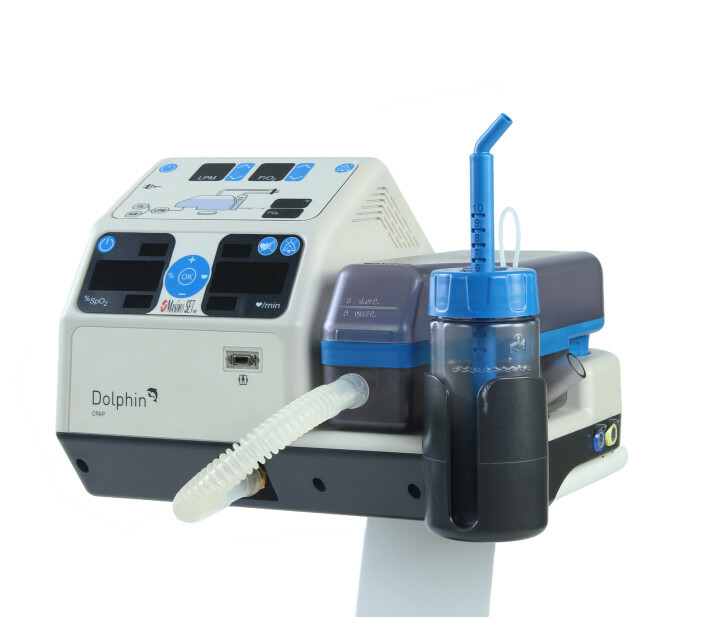 The Dolphin combines a compact, quiet, and easy-to-operate technology with precise control of gas flow delivery and oxygen concentration. For added patient safety, the Dolphin incorporates a full complement of alarms. 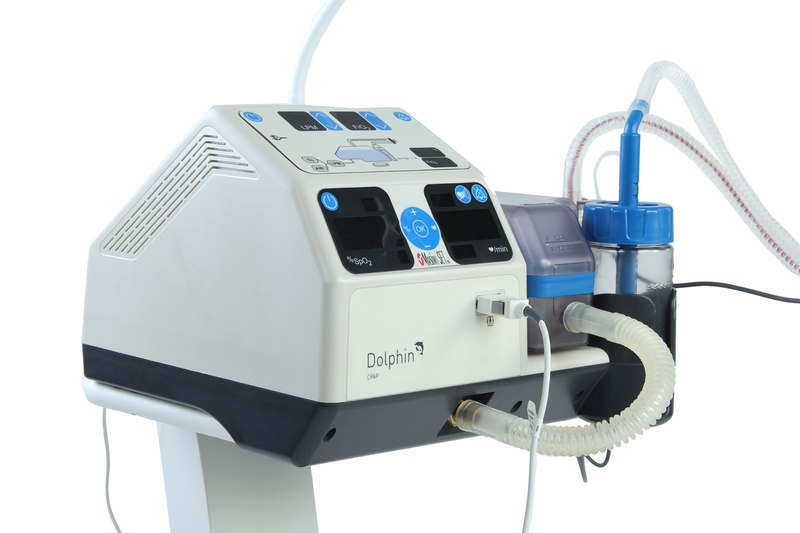 The Dolphin combines proven clinical effectiveness in respiratory care and patient monitoring technology with exceptional value.